Who Needs Desktop-as-a-Service: Top 5 Businesses that Embrace DaaS. The benefits of virtual desktop technologies are well-documented: remote access, shared resources leading to lower costs, easier management and better data security. Now take all that and add to it the unique benefit of having someone else own and manage the underlying infrastructure, including servers, user desktops, hosted applications and networks, and you have DaaS(Desktop-as-a-Service). 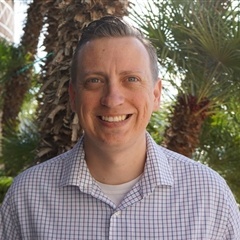 SMB was the first sector to embrace DaaS after its launch four years ago, primarily because the technology allows cash-strapped businesses to forego huge capital outlays associated with purchasing and maintaining fleets of PCs and their requisite operating systems and related hardware/software. But, that is quickly changing. 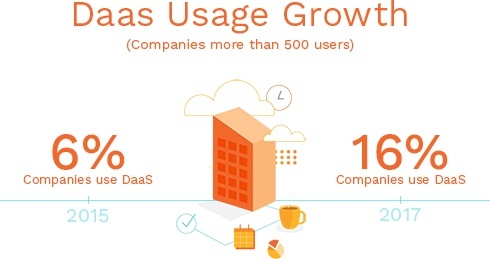 A 2017 Citrix Service Provider study revealed that DaaS has matured to such a point that its value proposition is compelling even for large organizations--16 percent of companies with more than 500 users reported using DaaS in 2017 compared to 6 percent two years earlier. Further, the vast majority of respondents--70 percent--expect this trend to gain momentum in the coming years. Major cloud services, AWS and Azure, now have their own DaaS offerings. Young and rapid-growth businesses tend to burn through a lot of cash as they invest heavily in R&D and customer acquisition initiatives. Many are cash negative and have little to invest in administrative overheads including purchase of expensive servers to connect to remote locations. 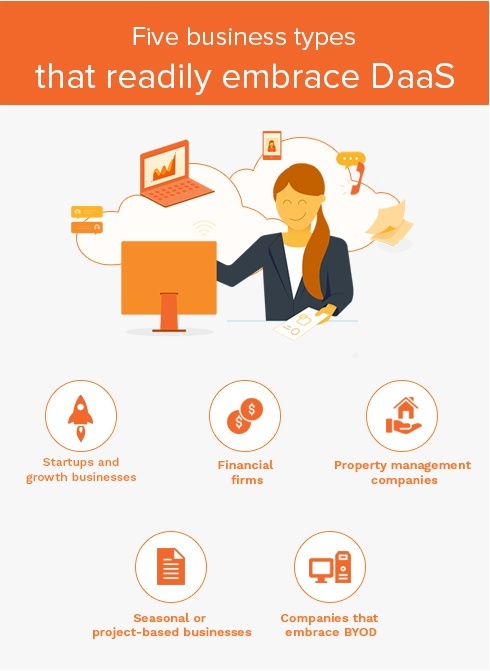 DaaS allows such businesses to use cloud-based solutions in their back office pretty much they way they use cloud services such Office 365, Salesforce's CRM or SAP's ERP. Further, this allows the businesses to forego hiring extra staff to run their virtual desktop infrastructure, including servers and the software/services that run them. Unlike technology companies which hire dozens of systems engineers, financial firms, including money managers and private equity firms, are much more frugal with internal IT investments. Owning and managing expensive IT equipment not only slows them down but also nicks off precious basis points from the bottom line! Such firms require highly standardized IT environments that support unpredictable cycles and fast transitions. Using DaaS, financial firms can bring new hires on board much more quickly since they don't need to buy or configure new equipment. Employees can access the same DaaS platforms from their individual devices and freely access custom software including trading apps. Realtors and property management companies tend to have operations in multiple cities or states. Being able to access data in a central repository from remote locations to update, add or remove properties is a big plus for such companies. DaaS makes this possible, not to mention that it makes it a breeze for the company to add seasonal workers and contractors. Businesses in seasonal or highly cyclical markets usually prefer on-demand staffing. These include businesses running campaigns, testing and development teams or those running projects. The DaaS model allows such businesses to add or remove virtual desktops for their workers quickly as needed without the need for large inventories of hardware to handle peak needs. DaaS can mitigate many of the risks introduced by a BYOD model because services and applications are served by the cloud vendor to multiple users. Remote desktop software is a solid choice for organizations of all sizes and can improve business efficiency by providing an agile and scalable solution.